As Arizona's premier sports destination, Glendale is one of the most visited places in the valley. Team up with AZ Junk Removal to keep junk out of sight! 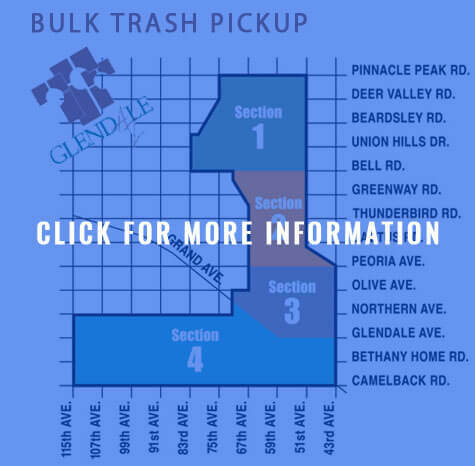 We offer single item and bulk pricing for removing trash from your Glendale business or home. 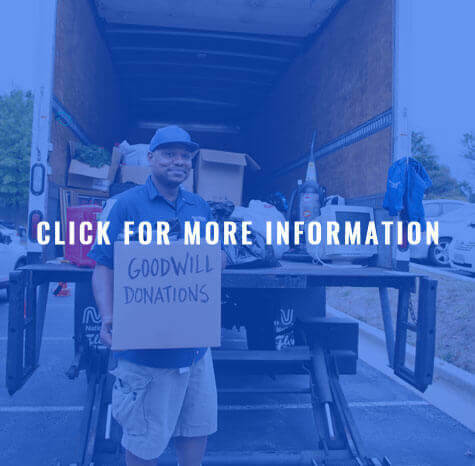 From storm debris during monsoon season, to old furniture, broken appliances, scrap wood and more; we can load, haul, and dispose of it so you don’t have to. We have been proudly serving Glendale and the Phoenix metro area for 10 years! I was getting some new furniture and needed my old stuff removed. They were here in a hour and a half like promised. Did the work. Very polite and I would highly recommend them. I know I will be using there service again. What Items Do You Haul? We are a full service residential and commercial hauling company. Common items we pick up are furniture, appliances, and hot tubs. We also assist in minimizing clutter around your home with our cleanout services. For our commercial retail store owners, building owners, realitors, or property managers, we offer complete property trashout services. This allows us to completely renew your space without the need for you to be present. When looking for free trash our bulk pickup, these are a few options to local residences. Keep in mind that these options, while provided for free by the city, have limitations. The links provided here provide you with everything you need to know about these city services. If you’re looking for a quick pick up, call us and we can usually schedule a same day haul away with no additional fees. Glendale proudly goes by "Arizona's Antique Capital" with support from both Sunset magazine and USA Today. With one of the most renowned downtown shopping areas in America, Glendale is home to the popular Arrowhead Towne Center mall in the northwest part of the city. As in any large city, changes are constant. Stay connected with the latest updates in your local area by following the city of Glendale on Facebook. By doing this you will find it easy to remain up-to-date with any local community changes. Everything from relevant information about city trash pickup to local events, businesses, places to eat, things to do, etc. Serving Glendale and the greater Phoenix area with affordable hauling services. Arizona Junk is dedicated to customer satisfaction. We are family owned and operated and take pride in our community as well as our customer base. No need to worry about a crew of hourly paid employees showing up at your home or office as our team is comprised of a tight-knit group of family and friends. No runarounds here; only a hard working company with upfront and transparent pricing. Our goal is to be your go-to company for all your hauling and property clean out needs. From commercial, retail, to residential, we’ve done it all over the last 10 years in the Valley of the Sun!